At the Euroblech 2016 trade fair in Hanover, SOYER presented the possibility of welding oversized M16 studs with a mobile miniature device in pocket format. In conjunction with the stud-welding inverter BMK-12i, the newly developed welding gun PH-9 SRM16 allows you to weld studs made of steel and stainless steel up to M16 onto thick and thin metallic workpieces without using ceramic rings and thus to achieve first-class welding results without weld bead and weld splatter. In addition, thanks to an innovative gas shroud on the PH-9 SRM16 welding gun, shielding gas consumption was reduced by up to 90%. 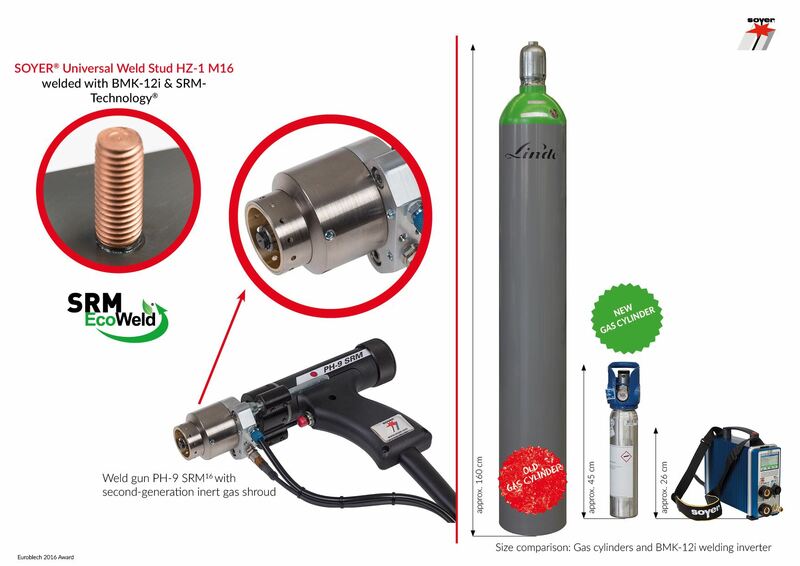 More than 10,000 welds (HZ1-8mm) can now be performed with 2 litre mini gas bottles and large, heavy and classic gas bottles are thus a thing of the past. Since the BMK-12i welding inverter was also reduced to a minimum in size and weight (7.8 kg) and the total system has drastically reduced energy consumption thanks to innovative technology, there are hardly any limits anymore to mobility, flexibility and the possible applications of all types, such as in mechanical engineering, container construction, vehicle construction, shipbuilding and apparatus manufacturing. A patent was recently applied for this innovation (Pat. No. 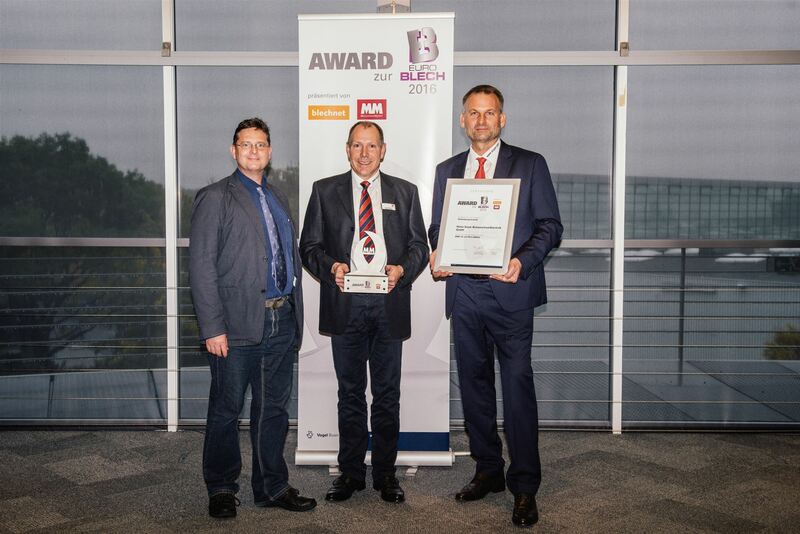 : DE202016100923), which was given the “Award zur Euroblech” innovation award in the “Joining Technology” category at the Euroblech trade fair.